A paper from China by Liu, Zhou & Chen presented at the Service Operations and Logistics and Informatics (SOLI) 2010 IEEE International Conference on 15-17 July 2010 confirms one outcome of my research and also what has been said here in the past three years. However the paper, entitled Customer satisfaction measurement model of e-government service, fails in one particular area, that I have been quite keen to stress. 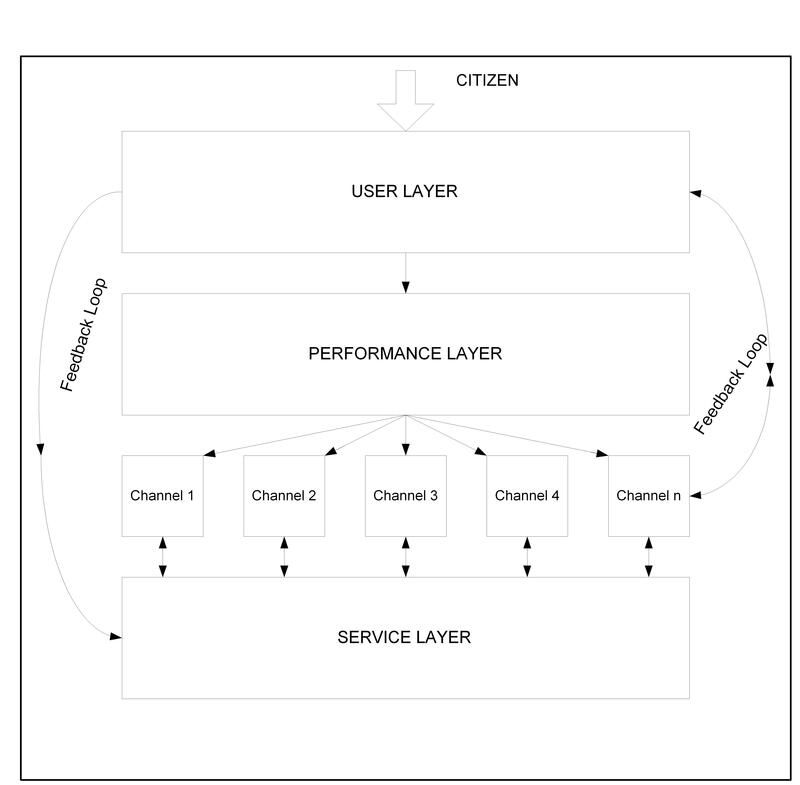 Whilst measuring satisfaction with the web site is one thing, there are other the channels, including some electronic ones that need to be part of the view, if one is to identify channel shift, process failure and other issues that all need to be accounted for when examining the delivery of services across multiple channels. My model/conceptual framework (below) employs (dis)satisfaction collected, along with usage statistics over time, to assist in improving service delivery across all channels. If one wants to get citizens to use a newer channel, it has to have added value for them, over the existing one(s). If a complex transaction is delivered in a complex manner over the Internet, they are still likely to use face-to-face or telephone. If feedback can be used to make matters simpler, highlight issues and, importantly, improve processes, the citizen is likely to use Internet channels, as they are more convenient. However, some processes are hard to understand at source i.e. face-to-face, so if they are transferred to the Internet without refinement they will remain equally hard, if not harder. Examining the root-cause of failure at source and improving it across all channels will assist not only Internet delivery, but mediated delivery, too. This entry was posted on Sunday, September 19th, 2010 at 8:23 pm and is filed under citizen, customer satisfaction, e-government, Metrics, transformational change. You can follow any responses to this entry through the RSS 2.0 feed. You can leave a response, or trackback from your own site.